An article was published by a newspaper named ‘Providence Journal’ about Ram Nehra & Nishi Nehra regarding their work for Ekal. It was published on Monday, August 9, 2010 titled ‘Middletown couple helping children from halfway around the world’. ‘Providence Journal’ is one of the largest newspapers in New England area & best read in Rhode Island of USA. After the Petrotech recognition, here is another feather in the cap of Ekal. Ekal has been recognized by BPCL (Bharat Petroleum Corporation Limited), a Govt. 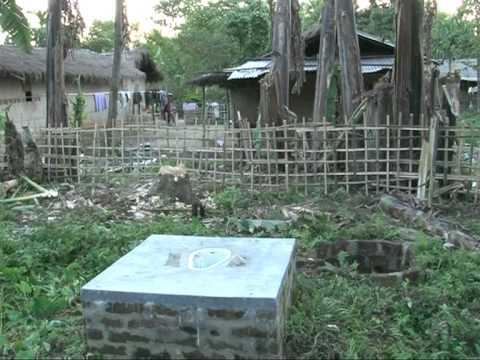 of India undertaking. 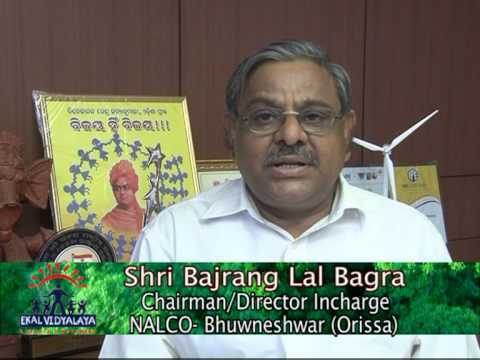 BPCL has placed Ekal on the forefront of their CSR Roadmap. They have published 4-5 pages matter about Ekal in their magazine on Community development initiatives of Bharat Petroleum. To top it, in their CD on CSR initiatives, Ekal stands out amongst various initiatives they have taken; CD starts with Ekal and ends with Ekal. It speaks volumes of Ekal mission, coming as it does from a third party. Friends of Tribals Society distributed three items namely Solar Lights-200, Cooker-200 and 200 pairs Shoes from Action Shoe Company. The three items were airlifted to Leh for distribution in needy families due to calamity of cloud brust. The lamps were distributed in far flung areas of Leh and Kargil district such as Choglamsar, Igo, Shey in Leh and Bhema, Hano & Dha of Kargil district. It may be mentioned that cloud burst calamity caused severe damage to Kargil district, particularly in Aryan belt. The Solar lights were distributed in 200 families. The pressure cookers were clubbed with the necessary utensils which were received from other sources and a kit of utensils was distributed among 547 needy families including the cookers received from FTS. The shoes were also distributed among the 200 needy families. Friends of Tribals Society, Patna Chapter organized a free medical camp on Sunday, the 3rd Oct. 2010 in an Ekal Village of Gaya Anchal in Jahanabad District of Bihar. Sri Vinod Krishan Kanodia, Patron, FTS Patna, presided over the camp. On this occasion 10 famous doctors of Patna, 20 officials, donors and many reputed persons of Patna chapter were present. The camp was inaugurated by Dr. Narendra Prasad, Patron, FTS Patna, Sri Vinod Krishna Kanodia, Patron, FTS Patna, Sri Anil Kumar Ritolia, Secretary, FTS Patna, Sri Gopla Prasad Khemka, Treasurer, FTS Patna and many other dignitaries by lightening the lamp. All were welcomed warmly by Sanch Samiti and the villagers of Kanhaiyaganj. 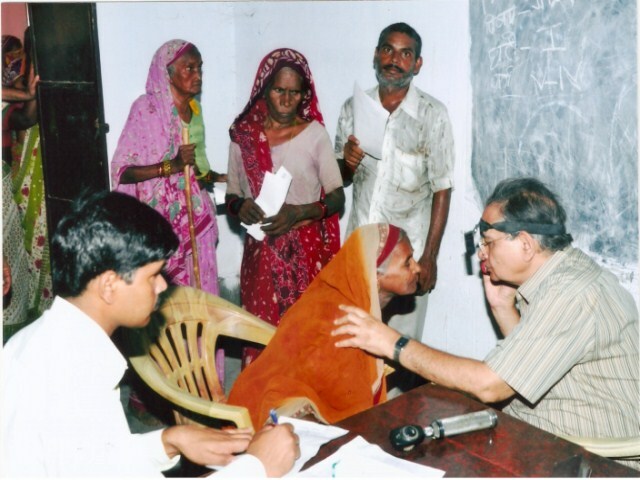 About 1000 people of Kanhaiyaganj and nearby 5 villages got cured of different type of diseases in this camp. The medicines were also distributed free of cost. All the medicines were provided by the members and donors of FTS Patna. The villagers thanked FTS Patna for this generous work. 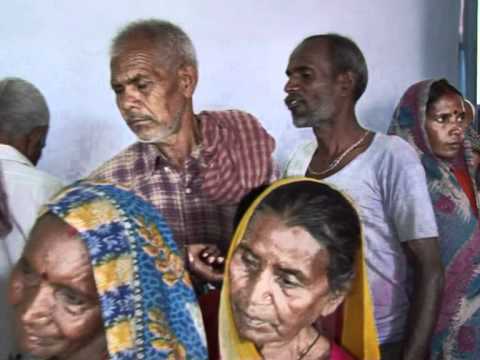 The villagers hoped that such medical camps will be organized in future also to maintain the health of villagers. After the camp, the Village Pramukh organized the lunch for about 100 persons including the chapter members, doctors, Sanch Samiti and other persons involved in the camp. After lunch, all of them visited the Ekal School. The school started with lighting of the lamp and reciting of the Saraswati Vandana & Gayatri Mantra. Some chapter members also asked the questions from the students and got excited with their answers. All prayed for long lasting of Ekal Vidyalaya. 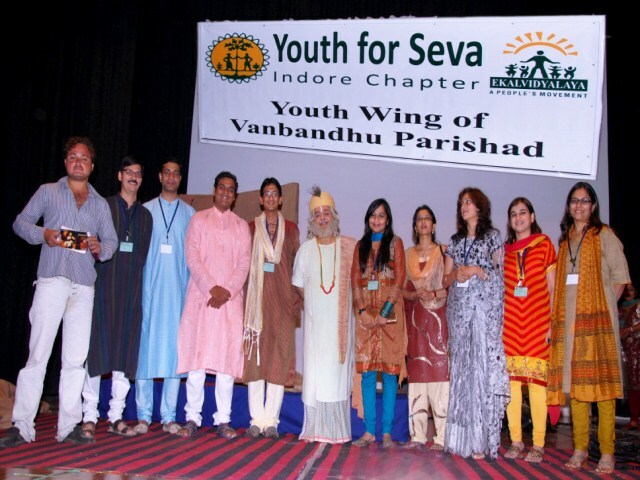 Youth for Seva (YFS) organized its annual programme on 21st August 2010 at Daly College Auditorium Hall in Indore. 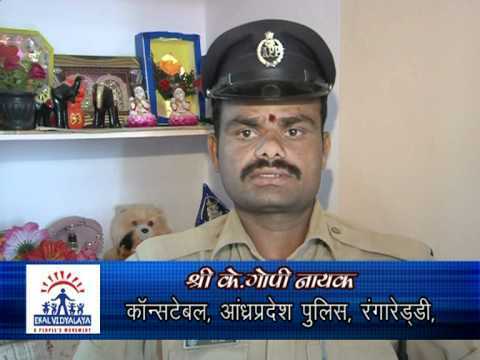 Sri T.N. Bajalia, Executive Director, IDBI and Smt Usha Narayan, Executive Director, SEBI, graced the occasion. Smt Neha Mittal, President YFS and the one who is the main force behind youth mobilization for Ekal Mission was the master of ceremonies on the occasion. At this annual day celebration the famous solo drama enacted by Shekhar Sen, Kabir was staged. The performance was highly appreciated by the audience. 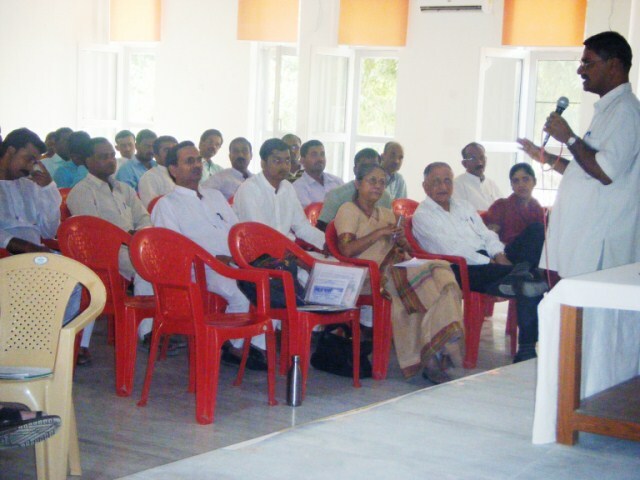 A 3 day meeting of Ekal Central Toli (main members of all dimensions of Ekal) was held on 25th to 27th Oct., 2010 at Vatsalaya Gram, Vrindavan (Mathura). The meeting started with lighting the lamp and reciting Saraswati Vandana. Sri Vijay Maroo, President, EVFI, Smt. Sangita Gupta, Secretary, EVFI, Sri Gouri Shankar Gupta, Vice-President, EVFI, Sri Anil Jaju, President, North Zone, Ekal Movement took active participation in the meeting. Sri Braham Ratna Agarwal, Vice-President, EVFUSA also graced the occasion. 130 Karyakartas attended the meeting.